Laura Laker visits Bristol's latest cycle cafe, Roll for the Soul, which was inspired by the local bike festival and bike project. 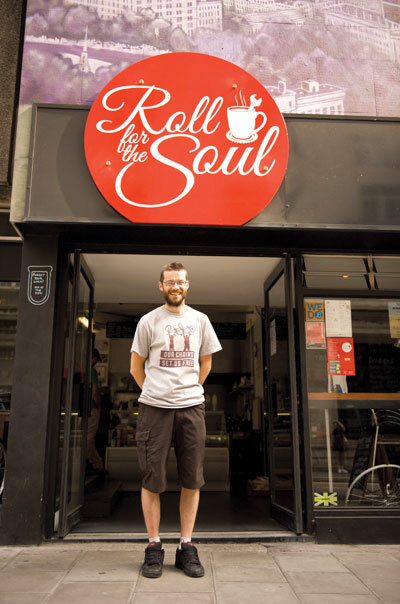 Bristol’s Roll for the Soul is a cycle cafe with a difference. Inspired by the local bike festival and bike project, its shiny exterior, according to founder Rob Wall, is a Trojan horse to get Bristol cycling – and keep it cycling. The city has already dug deep to help make it happen, with money from the community, council and crowdfunding, as well as Wall’s life savings. In RFTS Wall wanted a year-round hang-out for Bristolians, whether they cycle or not. Open since July, the place is already buzzing from office workers at lunch through to late in the evening, when MTBers, commuters, roadies and their friends meet to chat, attend launches, talks, exhibitions and film screenings. The significant remainder came from Wall and his wife’s life savings, a £40,000 grant from the city council, and some individuals who just “wanted to see it happen”. One inspiration for the cafe was the Bristol Bike Festival, which Wall helped organise. The other inspiration was the Bristol Bike Project, where Wall volunteers to teach disadvantaged people to renovate a bike, which they then get to ride away. “The shiny exterior [of RFTS] is kind of a Trojan horse for getting the same ideas across to people about reusing stuff and the social benefits of cycling, and promoting and supporting cycling in Bristol,” says Wall. The crowds at lunchtime and the evening are indicators of Wall’s success. 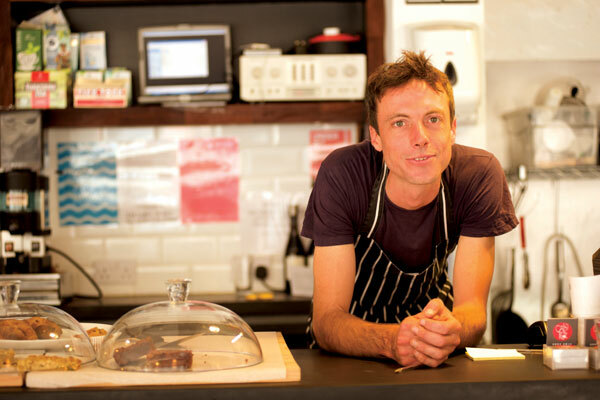 The location in the heart of Bristol, great vegetarian food, and the programme of events, from racing and film screenings to talks and skill-share sessions has helped. The place offers low-cost space for community groups, but it’s also where many of Bristol’s cyclists – and non-cyclists – gravitate at the end of the day. There’s bespoke tuition in the workshop with the aim of demystifying bike maintenance as well as the usual services. However, says Wall, “I never want to fix someone’s puncture twice. I’m very happy to do it but you’re going to watch and learn! This article was first published in the January 2 issue of Cycling Weekly. Read Cycling Weekly magazine on the day of release where ever you are in the world International digital edition, UK digital edition. And if you like us, rate us!